The intersection between geography and law is a critical yet often overlooked element of land-use decisions, with a widespread impact on how societies use the land, water, and biodiversity around them. Land Use and Society, Third Edition is a clear and compelling guide to the role of law in shaping patterns of land use and environmental management. Originally published in 1996 and revised in 2004, this third edition has been updated with data from the 2010 U.S. Census and revised with the input of academics and professors to address the changing issues in land use, policy, and law today. Land Use and Society, Third Edition retains the historical approach of the original text while providing a more concise and topical survey of the evolution of urban land use regulation, from Europe in the Middle Ages through the present day United States. Rutherford Platt examines the "nuts and bolts" of land use decision-making in the present day and analyses key players, including private landowners, local and national governments, and the courts. This third edition is enhanced by a discussion of the current trends and issues in land use, from urban renewal and demographic shifts in cities to the growing influence of local governance in land use management. 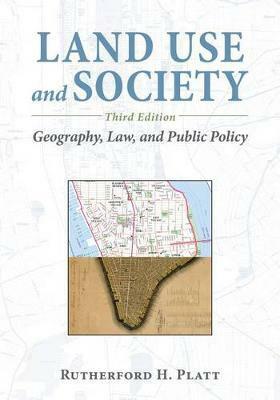 Land Use and Society, Third Edition is a vital resource for any student seeking to understand the intersection between law, politics, and the natural world. While Platt examines specific rules, doctrines, and practices from an American context, an understanding of the role of law in shaping land use decisions will prove vital for students, policymakers, and land use managers around the world.